On 25 September 2018, there will be a performance of two productions by the grade 4-6 learners and the grade 7-9 learners of the academy respectively. 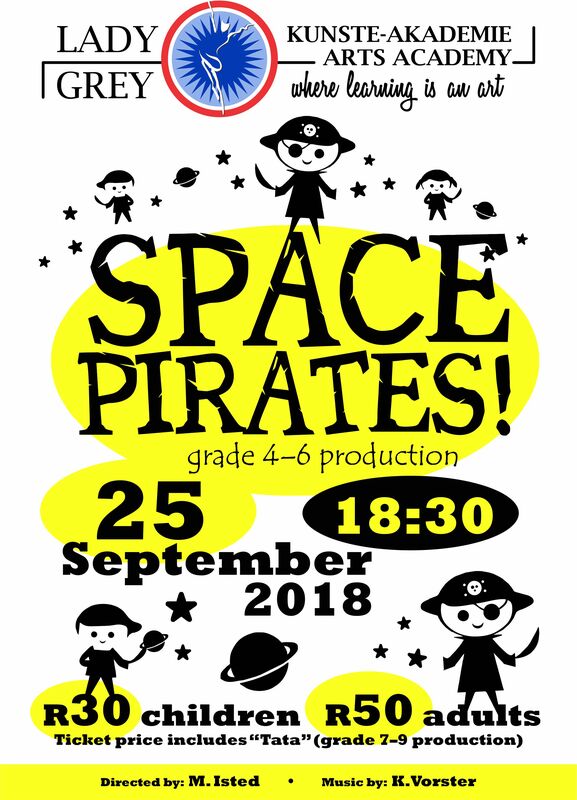 The first show is called “Space Pirates”. 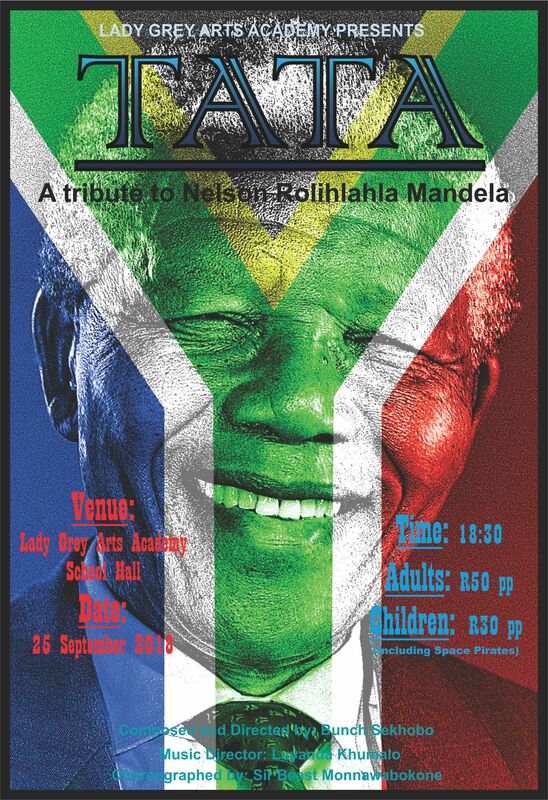 It starts at 18:30 in the school hall. The second show is called “Tata” and it starts directly after the first show. Tickets are R30 for children and R50 for adults. Ticket price includes admission to both shows.